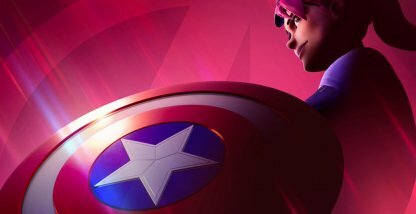 Stay updated on the latest events in Fornite! 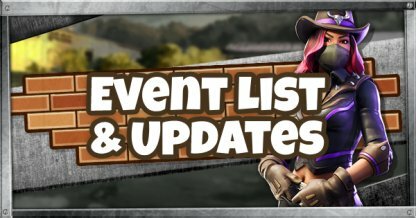 Check out this guide to know all about the current and previous events in the game! 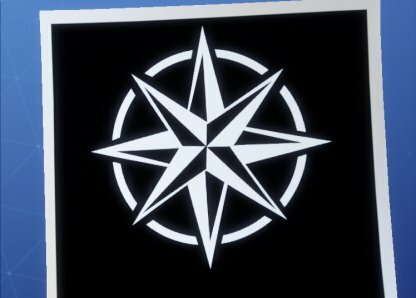 What are Events in Fortnite? 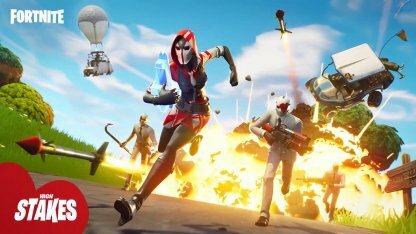 Events in Fortnite bring something new into the game and are only available for a set amount of time. 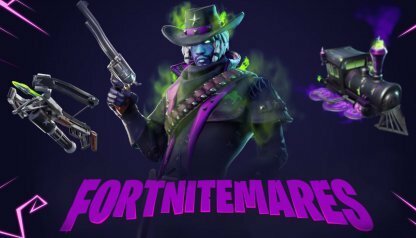 This includes new challenges, cosmetics, items, and even LTMs catering to the event's theme. What makes the events even more exciting are the inclusion of new challenges and rewards in the game! 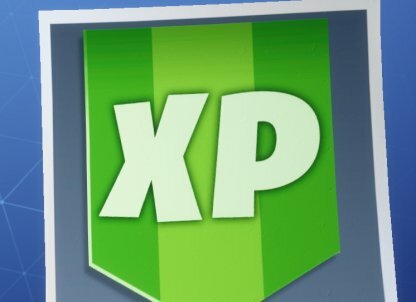 Unlike Battle Pass challenges, they're available for everyone to do, but are limited to the event's duration. 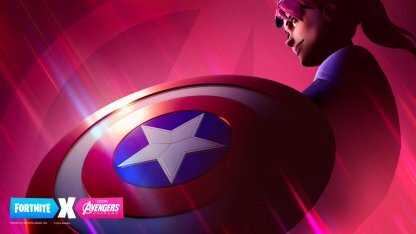 Suit up and get ready to do whatever it takes to take home that Victory Royale in the new Fortnite x Avengers Endgame event! The fights comes to the Battle Royale map and you've just been called to fight. 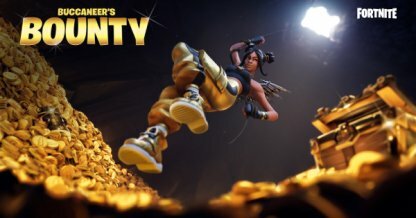 Fresh Limited-Time Modes (LTM) will be available to play in the Buccaneer's Bounty event from April 10 - 15, 2019. Players will be able to collect in-game rewards by completing free Challenges for the duration of the 5-day event. 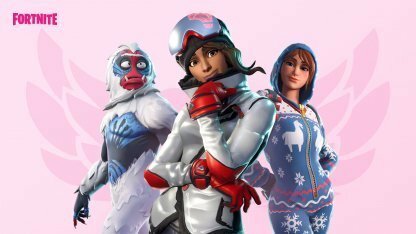 Complete Overtime Challenges to get a chance to unlock a free Season 8 Battle Pass, new Skin styles, and Valentine's-themed items! The event was released in anticipation of the release of Season 8. The two-day event was launched in anticipation of DJ Marshmello's in-game show in Pleasant Park on Feb. 2, 2019! 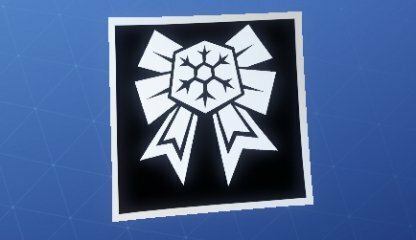 A set of challenges were released that gives Marshmello-themed rewards when completed. 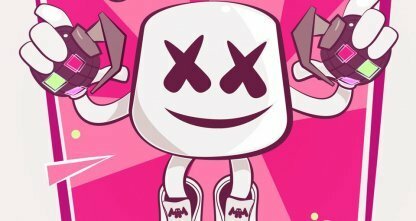 The Challenges were released in anticipation of Marshmello's collaboration with Fortnite. On Feb. 2, the DJ help a virtual concert in the soccer field in Pleasant Park. 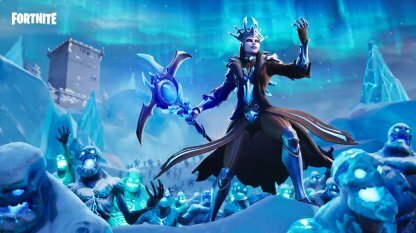 Dangerous forces had awakened in Fortnite, bringing with it the harsh cold and its deadly Ice Legion. This event had players hunting Ice Legion monsters to complete challenges! 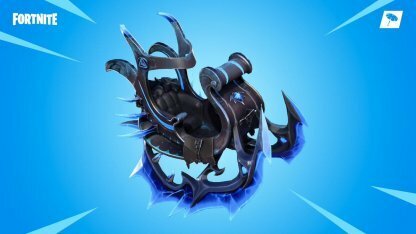 Completing all 13 Ice Storm Challenges unlocked the exclusive "Winter's Thorn" Glider. The carriage can withstand even the coldness of the Ice Storm. The Ice Storm replaced the regular game modes for the duration of the Ice Storm event. 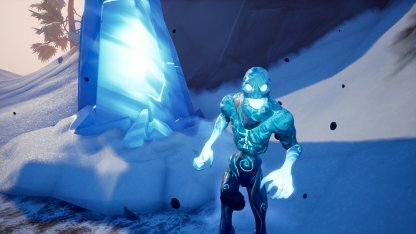 In the LTM, Ice Legion members spawned across the map through Ice Shards. 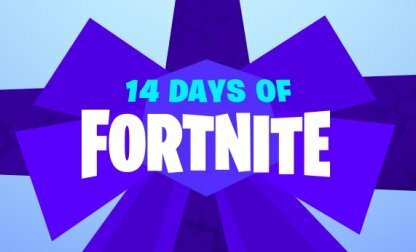 Celebrating the Holidays in Fortnite, the 14 Days of Fortnite brings a new challenge and LTM every day for the next 14 days! Each challenge has a unique reward to unlock. Managing to clear all 14 challenges of the event will unlock a special banner. The Ribbon Banner Icon is exclusive to the event and cannot be earned anywhere else. Old and new LTMs were rotated around every day across the 14-day event. Big team LTMs were replaced every 2 days, while the small team LTMs only had a day each before being changed. Dark forces are erupting from the ground. Sets of challenges are released at a time for players to complete in line with the appearance of Cube Monsters in the map. 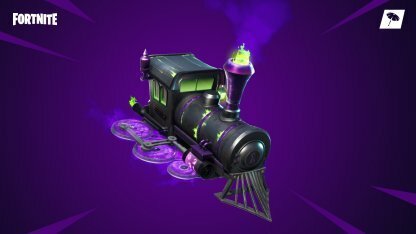 The Dark Engine Glider is an eerie locomotive Glider that you can unlock by completing all the challenges! 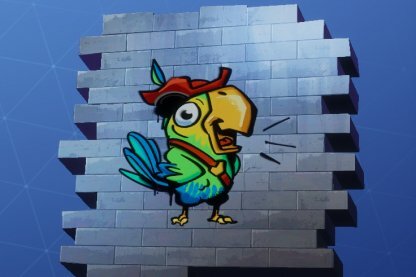 The biggest heist in Fortnite. 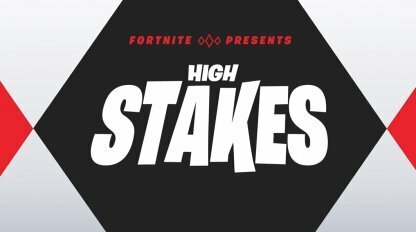 The High Stakes event includes a new LTM, a set of challenges, and exclusive rewards. 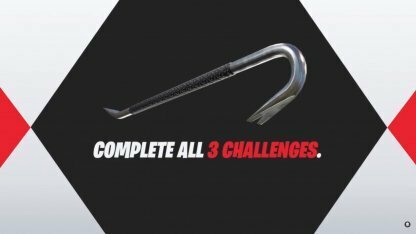 The Crowbar Pickaxe is an exclusive Pickaxe that can only be unlocked by completing the High Stakes challenges. 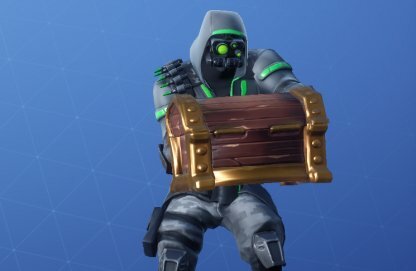 Work together with 4 other teammates to pull off the biggest heist in Fortnite! 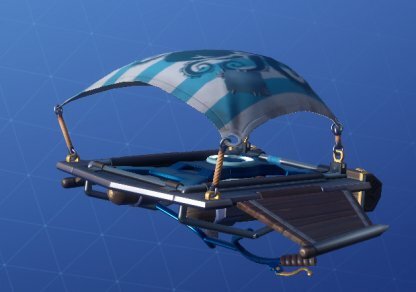 In this LTM, the goal is to getaway with the 4 diamond Llamas and stop others from doing so.